Add joy to your home and increase your property values with a home improvement loan from Maximum Lending. Improving your home can also help you avoid costly repair bills and, in the event of exterior improvements, improve the aesthetics of the neighborhood. 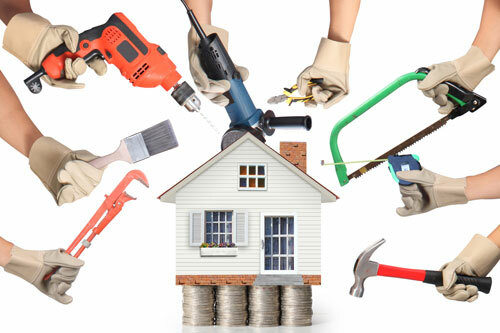 Whether you want to make home repairs, remodel, buy new appliances, make energy-efficient improvements or install a pool, a home improvement loan from Maximum Lending can make your dreams a reality. Contact us today at (949) 342-0610 to get started on your home improvement project! A sub-set of the Federal Housing Administration (FHA), the 203K Loan was created to help homeowners acquire (or refinance), and rehabilitate distressed or dilapidated properties that are at least a year old. When refinancing, a portion of the loan proceeds are used to pay of the existing loan, while the remaining funds are placed in an escrow account and released as pre-determined renovation is completed. Work permitted is limited by government allowances.